What is it the politicians like to call it – the ‘special relationship’? That shared set of values that supposedly bonds Great Britain and the US. They would have you believe our two nations are really one and the same. Same political ideologies, same cultural tendencies, same social make-up. Separated by the Atlantic Ocean and precisely nothing else. And yet, if you ever saw the US’s best-selling car, the Ford F-150, parked in a movie set-picturesque Cotswold village – vast knobbly tyres pressing heavily into ancient cobbles, vibrant paintwork and bright orange running lights positioned as abruptly against sandstone brickwork as graffiti on marble – you’d think we had nothing at all in common but the planet on which we live. 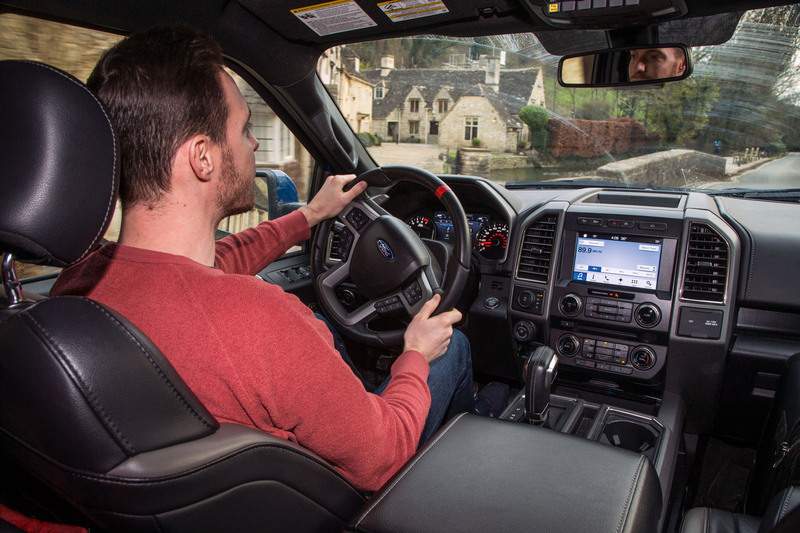 For all that they seem completely absurd in an English village, though, Ford’s F-Series trucks are nothing short of a phenomenon in North America. Last year, 896,764 of them were sold globally, the vast majority of those staying within Canada and the US. The F-Series range also includes the F-250 and F-350, right the way up to the gargantuan F-750, which is the sort of thing you’d use to tow a stack of felled redwoods. But most of the trucks Ford shifted last year were F-150s, just like this one. In fact, the F-150 isn’t just America’s favourite car – it’s the best-selling vehicle in the world, full stop. Amazing, really. It’s like a party that we Brits haven’t been invited to. You can’t buy an F-150 in the UK through official channels but, if you were really determined, you could import one yourself. You could even find somebody to convert it to right- hand drive, after which you’ll have spent close to six figures. Which kind of begs the question: what is the US’s favourite car like to drive in Britain? This isn’t just any F-150. It’s the F-150 GT3, although Ford prefers to call it the Raptor. But like a Porsche 911 GT3, the Raptor has been completely overhauled and re-engineered, given much more power and kitted out with trick suspension components. It has all the single-minded purpose of a 911 GT3, only for a very different sort of task. 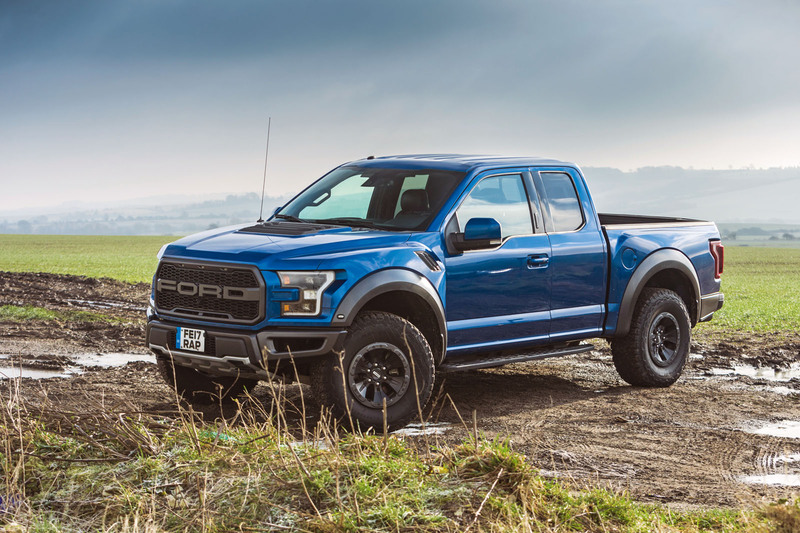 Compared with the previous Raptor, this latest model is lighter by more than 200kg, thanks to the use of aluminium throughout the body rather than steel. It still weighs 2500kg, though. 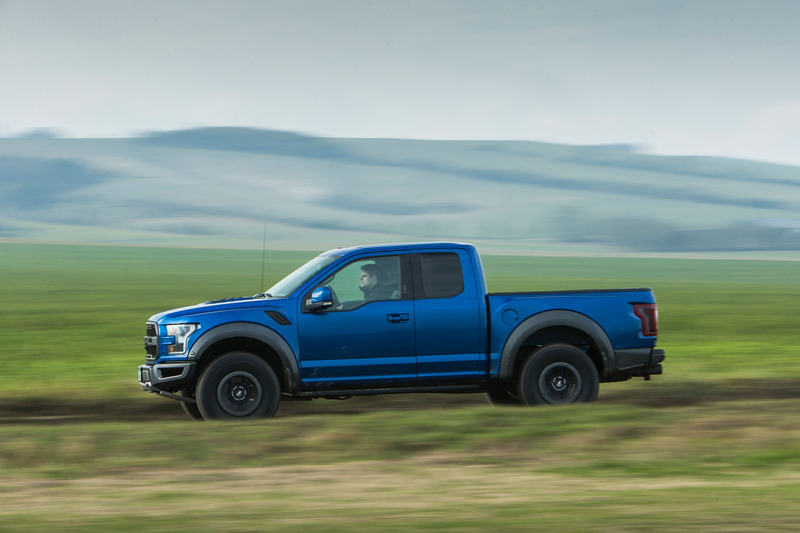 Sitting on huge Fox dampers and springs big enough to crawl through, the Raptor has more ground clearance than before and more suspension travel. In fact, each rear wheel can be compressed almost 14in into its arch before hitting the bump stop, which itself is hydraulic, so when you do run out of travel it doesn’t happen so violently. Gone is the old 6.2-litre V8, replaced by, of all things, a 3.5-litre V6. That’s like taking Mike Tyson’s boxing gloves and replacing them with woollen mittens, and it’s the sort of thing that could spark protests in some states. Except, of course, this is a twin-turbo Ecoboost engine that’s actually torquier and more powerful than the outgoing V8. 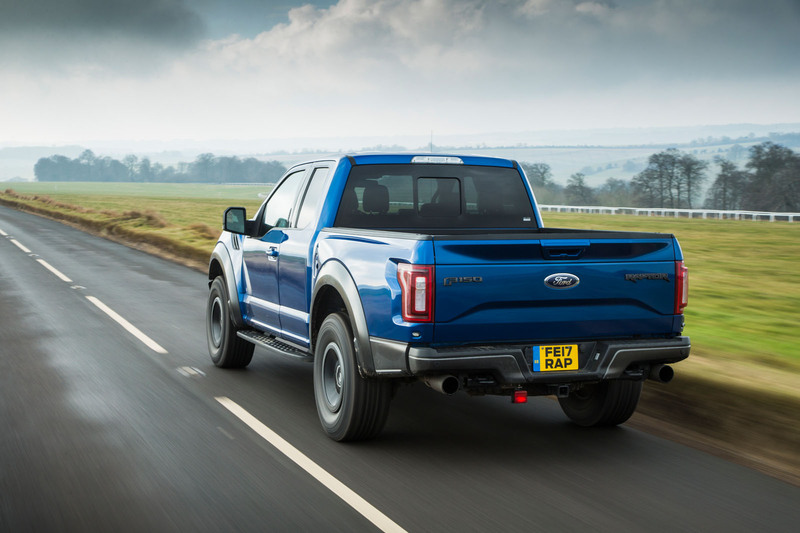 Peak power is 444bhp, with torque rated at a massive 510lb ft.
Perhaps the most remarkable thing about the Raptor, however, is the cost of it. In the US, Ford’s suggested retail price is a shade over $50,000. That’s less than £36,000. Never mind the high-spec componentry and heavyweight engineering; that’s good value for money just for the sheer quantity of metal, glass and plastic you’re getting. Build enough of something and you really can give it away for pennies. Rarely has a car looked as out of place as a Raptor in the English countryside. It’s the size of the thing. Its bonnet is as high as most cars’ rooflines. The front wishbones look like deckchairs. You can actually learn a useful amount about the Raptor just by driving somewhere in its vicinity. From behind on a typical British B-road, you’ll see the wheels on the left side nudging up against the mud verge while those on the right roll over cat’s-eyes. It just doesn’t fit. And when you see it in your rear-view mirror, it looks so tall and so wide, and the front-end styling is so aggressive, that you would swear its driver was furious with you. Even from a respectable distance behind, the Raptor looks hostile, with a gaping snout so huge you fear it might swallow you and your car whole, or perhaps just drive right over the top of you. Soon enough, you’re desperate to drive it yourself. Climb into the driver’s seat and see how everything inside is to scale. The oversized gearlever and big, toy-like buttons. The cubbyhole in the centre armrest that’s big enough for a crate of beer. But somehow – hilariously – rear leg room is actually quite tight. From up here, at this altitude, you look down on a Ford Ranger, the pick-up the Blue Oval actually does sell in the UK, like it’s something you would give your small child at Christmas. With the steering wheel slung out on the left and the other side of the car such a long way off, you make steady progress at first. The steering itself is no better than adequate, so you continually make tiny corrections to keep the Raptor on its side of the white line. When anything bigger than a family hatch approaches, you involuntarily breathe in and wince, waiting for the impact. But you get used to it. So you drive a little quicker. This car is built for racing through deserts. That’s why it has a Baja driving mode, complete with a little graphic that depicts a desert scene with a chequered flag. So you know it’s tough. But every time you rattle over a rough section of asphalt or through a pothole, the entire structure around you shudders and shakes and the rear suspension creaks and groans. The frame is as strong as granite, but the separate body that sits on top of it feels wobbly. This model has suicide rear doors and therefore no B-pillars, which almost certainly doesn’t help. The 10-speed auto ’box is basically fine, in that it’s well suited to the job, but compared with most other modern transmissions it seems to operate in a sedated manner, like a stoner reluctantly getting up from the sofa to answer the door bell. The ride is brittle and there’s a patter that never settles. The pay-off is that on a winding road the Raptor doesn’t crumble into a horrible mess the second you stick it into a bend. It actually has enough control and poise to stay with you on a B-road, enough that you can keep it rolling along quite spiritedly. That said, there is only ever one line through a corner, given the enormous width. In town, it makes even less sense than it did out in the open. You drive in near constant fear of there being a car, or maybe a small bus, hidden in one of the vast blind spots, so you actually drive with much less assertiveness than everybody around you assumes you will. But you do relax into it and soon start driving through town with a sort of impunity, because it doesn’t actually matter if you roll a couple of wheels over a kerb when pulling out of a junction, for instance. Eventually, in fact, you realise you aren’t restricted to the narrow bit of road in front of you, like you would be in a Ford Fiesta, say, and that you could actually drive right over whatever pavement or lawn or bush happens to be in your way, plotting your own course through the city as though the roads themselves are merely advisory. Traffic jam? Not for Raptor drivers. You could just about make a case for the Raptor here in the UK if you happened to live on a farm, or in some remote Scottish wilderness. Everywhere else? It’s just too vast, too obscene. But the Raptor is one of those very rare cars for which every reason for not buying one is also every reason why you would buy one. It’s silly, but brilliantly so. And surely, at times like these, we could all do with a little more silliness in our lives. The dainty, pocket-size Ford Fiesta is the best-selling car in Britain. Last year, 94,533 new Fiestas found homes in the UK. Parked alongside the US’s best-selling car, the F-150, the little hatchback barely looks big enough to sit inside. If every one of those 94,533 Fiestas parked nose to tail, they would stretch from London to Newcastle; if every one of the F-150s sold in the US did the same, they would reach from London to New York. 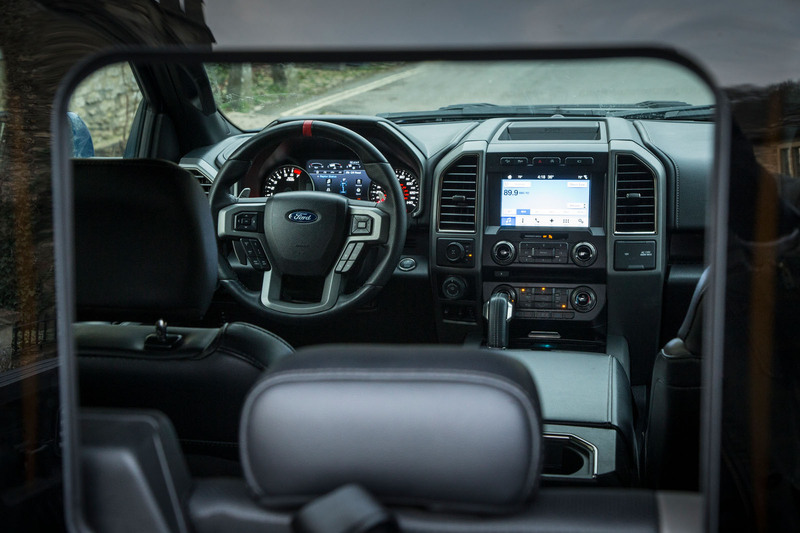 Like the size of the universe, the number of F-150 trucks Ford sells each year is almost impossible to get your head around. This mid-range Fiesta Titanium, with its 1.0-litre Ecoboost engine, sells for a little under £18,000 in the UK. Incredibly, that’s more or less half what Ford charges for the Raptor in the US. Do they have anything at all in common? No, of course not, except that while the F-150 Raptor is the pre-eminent desert-racer-for-the-road, the Fiesta is every bit as definitive in its own sector. 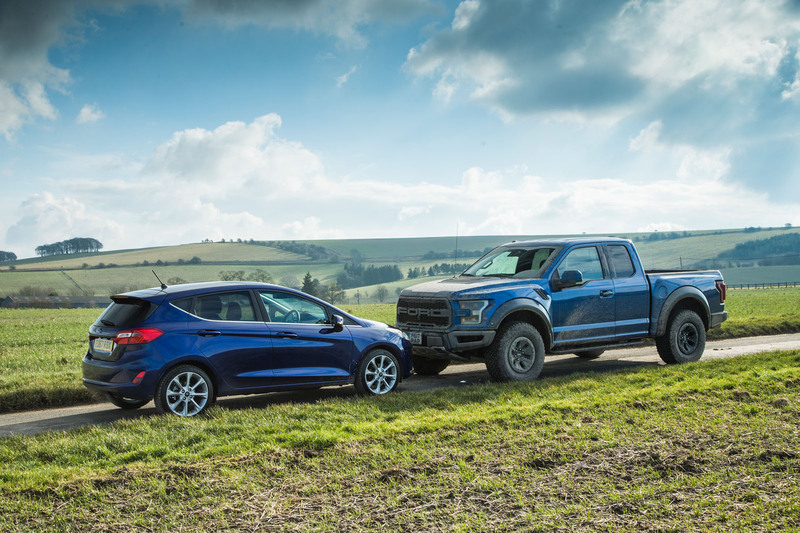 The Fiesta doesn't look as dwarfed by the F-150 as I'd expect, but then it has grown a lot over it's lifespan. Perhaps a side by side shot with a Ranger would be helpful. 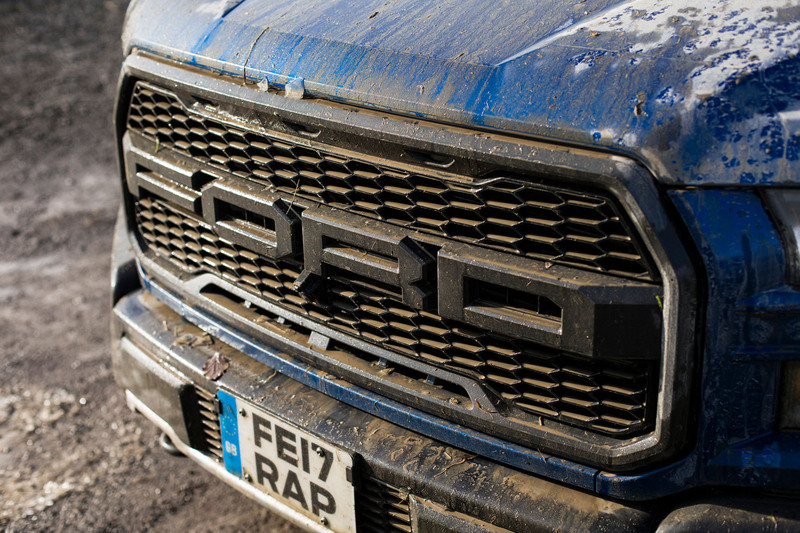 Looking forward to a Ranger Raptor, perhaps with the 2.3 ecoboost rather than a diesel. F150 Raptor is one of the cars that I saw also on https://www.analyzedu.com/writing-services-reviews/essayservices-org-review.html and I need to have it. I'm just in love with it and I think that it will take everything down. The F-150 isn't the world's best-selling vehicle. That title belongs to either a Japanese car or another American car. Nonetheless, the F-150 Raptor is a very cool car if you can ingress as there's some serious ground clearance despite the side steps. What a badly written article - the F150 is NOT the US' beast selling car, its the best selling vehicle and its a truck. The best selling car in the US is the Honda Civic. And the F150 isnt even that big - its smaller than a 7.5 ton truck and there are plenty of them on UK roads. Clearly Dan, youve never driven a 7.5 ton truck, in fact it would appear, from the way youve written this, that youve never driven anything bigger than a classic Mini. Quite a lot of the article as printed in this weeks magazine that I received today as a subscriber appeared to be missing, there wer two large white spaces where text was clearly meant to go and what was written made no sense as it was clear that words were missing. Yes, this was the feature in the magazine today. A production glitch outside our control meant not all the text appeared, so to ensure everyone had access to all the words we decided to put up online today. The price in America of £36,000 odd doesn't include tax so you're not comparing like to like if you relate that to prices on this side of the pond. And there's the F-250 and F-350. F-150 is the baby, there's also the F-250 and F-350. F-250 is a larger version of a pickup but the F-350 seems to be the basis of what we'd actually recognise as a truck! Size is something you've got to witness for yourself. They don't look big at all in the US, but when you see a Range Rover here it looks massive but in the US it's tiny. I'm surprised that Ford haven't built an RHD F-150 for the Australian and other RHD markets,if Isuzu,Mitsubishi,Nissan & Toyota can sell pickups inspired by the products of the Big Three,why not try selling the real thing. Pickups have been moving upmarket over the past couple of decades and even Mercedes have put a three pointed star on a Spanish built Nissan and asking £40k for it, Wheras the Raptor is the hot F-150 there's some pretty smart plush versions of the truck as well, so if it was priced and specced right Ford Of Europe could have a bigger brother for the Ranger,after all it only took fifty years to produce a RHD Mustang and look how well it's done. So give it a thought Ford after all UK customers might give the real thing a go rather than pale imitations.